One of the participating artists, Olu Oguibe, recently won the Arnold Bode Prize for Das Fremdlinge und Flüchtlinge Monument (Monument for Strangers and Refugees), an obelisk inscribed with words from the Book of Matthew written in Turkish; Arabic; German; and English, during the Kassel exhibit. In addition, Oguibe also received the accolade for The Biafra Time Capsule, an installation that addresses the human tragedy of the Biafra War, which is on view in both Kassel and Athens.However, this partnership doesn’t end with the conclusion of documenta 14. Once the exhibition has concluded, Artistic Director Adam Szymczyk and Curator at Large Bonaventure Soh Bejeng Ndikung will bring all 16 artists together for another exhibit that will travel to Luanda. The works will be the same as those presented at documenta 14, but will be “re-shaped within the local framework of the city,” according to a press release. A multiple of new “visual practitioners” from Africa and the Diaspora will join the 16 artists for the showing in Angola. Dokolo explained why the partnership between documenta 14 and Fundação Sindika Dokolo is important, in a press release, “The last decade or so has seen the increased prominence of artists from Africa exhibiting across the contemporary artistic platform in the West. I am delighted to help in initiating this opportunity of showing the African artists being exhibited in documenta 14 for the first time on the continent. This unique exhibition comes at a timely moment in which we can showcase and celebrate a collection of [immense] and diverse African talent. 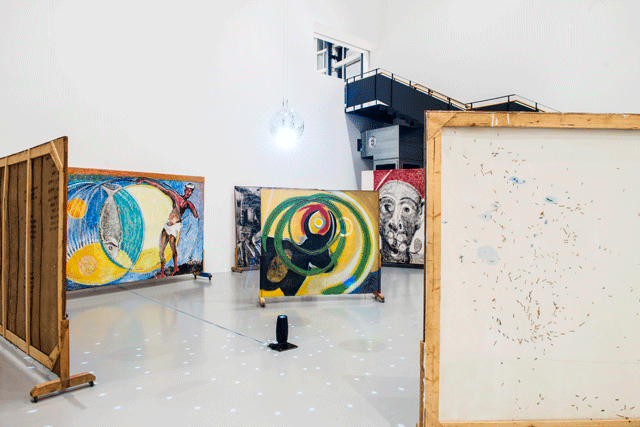 It is a critical concern of mine that the people of Angola — and of Africa — have access to contemporary cultural discourse, as well as being able to see and discover the artistic production of multiple voices from the continent and diaspora.”documenta 14 and Fundação Sindika Dokolo will announce detailed plans of the Luanda exhibition and conference in the coming months.